Join your fellow Rotarians on the Landshark on May 29 from 6:30-8:30 PM. For $20, you get a 2-hour ride, food and drinks. Please sign up to secure your spots before all 44 seats are filled. Golf tournament. 75 golfers so far. Please fill out dinner tickets if you’re not golfing. We need more for the silent auction. Get things to Andrew Chung by Friday at the Bank of Santa Barbara. 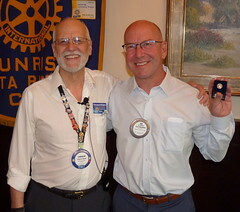 President David Velarde presented a Paul Harris Fellow +3 award to Steve Kally. Club awards have been submitted. As usual, our sheets are full. Thank you, Julie Joy Stilwell. Pay and tell with sergeant at arms Chris Baxter. Luz Maria Ortiz Smith reported on her time in Chicago, representing District 5240 on the Council on Legislation. 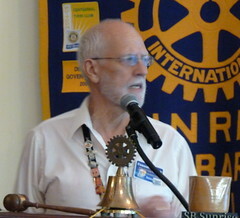 Rotary dues will increase for the next 3 years. The full report is available from the Council on Legislation. Board meeting next Thursday morning at 7:30 AM. Justin was motivated to get more organized by the birth of his daughter 9 weeks ago. Americans waste an average of 9 million hours a day searching for misplaced items. People are generally busy and don’t feel like they have enough time. Shared video: “Honey, I got hit by a bus” from eMoney. eMoney is an online tool that aggregates your financial data and files, including insurance, stocks, bank accounts, budgeting, advisor names, etc. Having all his accounts visible in one place helps him have peace of mind. This also helps couples or families share information more easily. The vault is a feature that lets you store documents electronically. He shared a list of the many benefits of getting organized, including emergency preparedness, more time, access to important documents, real-time visibility of assets. 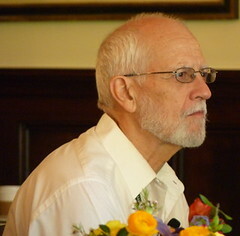 He discussed the security of the data on systems like this. The club will donate 15 dictionaries to third graders in honor of our speaker.